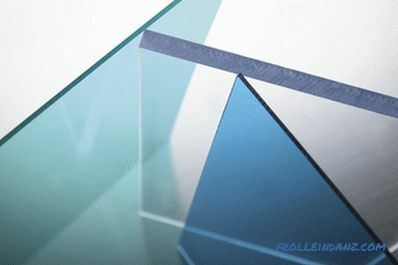 Currently monolithic and honeycomb polycarbonates of various thickness are colored and transparent. The nomenclature of polymeric materials of this type is diverse. 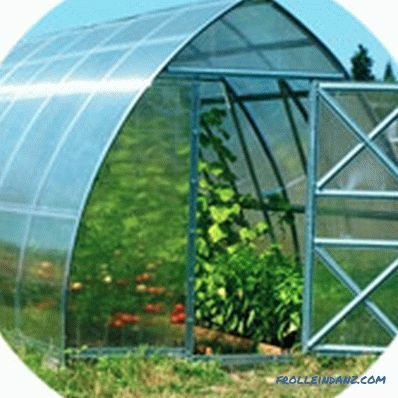 The consumer appreciated the high technical characteristics and widely uses polycarbonate for greenhouses. In order to determine which polycarbonate is better for a greenhouse, it is necessary to carefully study the properties of both types of transparent plastics. With the same chemical composition, they have different structure and differ significantly in their technical characteristics. The choice of coating material for greenhouses is carried out taking into account the requirements for the construction of such facilities. The main function of the greenhouse is to provide the optimum temperature and humidity conditions necessary for growing crops in significant volumes . To solve this problem, structures are needed that cover large areas. It is possible to build such a thing only when using materials with a low specific weight, otherwise a strong and, as a result, heavy frame will be required. The cellular polycarbonate, which has a hollow structure, meets such requirements in the best way. In comparison with the monolithic, this material has a significantly lower specific weight with the same sheet thickness. 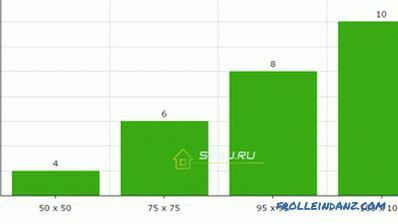 Thus, one square meter of a 10-mm cellular polycarbonate panel is more than an order of magnitude lighter than a single sheet of the same chemical composition. In addition, cellular polycarbonate, due to its hollow structure, has a lower thermal conductivity. This circumstance is crucial when deciding on the choice of coverage for greenhouses. protection against hard ultraviolet radiation. Characteristics of cellular polycarbonate depend on two main factors: the quality of raw materials and strict adherence to production technology material. The production of panels is carried out by extrusion on special equipment. Different manufacturers use different raw materials, and their structure may differ. The factors listed above are taken into account when choosing a particular brand of cellular polycarbonate for the construction of the greenhouse. In addition to the above parameters, the cost of the panel, which directly depends on the thickness and quality of the sheet, is crucial. Cheap materials are usually manufactured in violation of technical conditions and they are not able to withstand long-term operation. 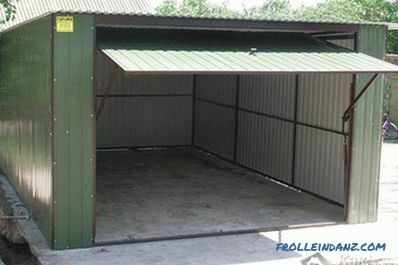 The customer is often tempted to receive cost savings and purchase the thinnest and inexpensive sheet for pok greenhouse diggingSuch a decision will lead to the need to increase the supporting elements of the frame, to compensate for the insufficient strength of the panel, which during operation is subjected to significant wind and snow loads. In addition, cheap material often does not correspond to the stated thickness, which also does not contribute to improving its technical characteristics. One should not go to another extreme and use polycarbonate of maximum thickness to build a greenhouse. Four-layer thick panel with a complex structure of stiffeners, which significantly reduces the light transmission. 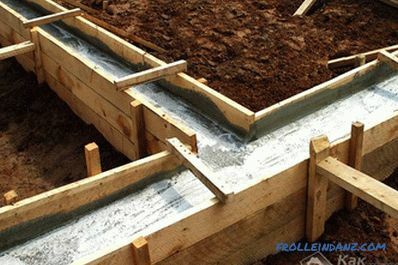 In addition, a larger proportion of the sheet will also require reinforcing the supporting structure of the frame. Practice shows that the optimal thickness of polycarbonate for covering greenhouses is between 4 and 10 mm. 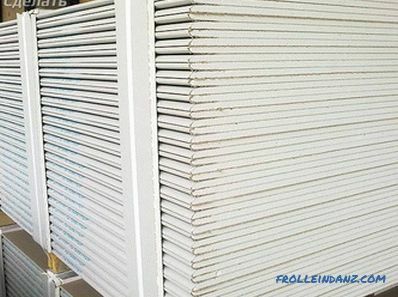 It is important to note that when choosing panels, one should pay attention not only to the declared technical characteristics, but also to the quality of the material. The latter should be confirmed by the presence of a certificate of material compliance with the requirements of the national standard issued by an accredited laboratory for a specific batch of products. 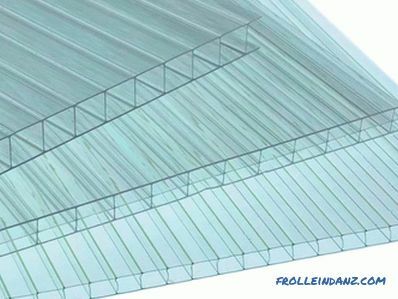 The recommended spacing of the batten for a greenhouse of cellular polycarbonate is 700 mm or 1050 mm, such a step is equal to half or one third of the sheet width and reduces the material consumption. 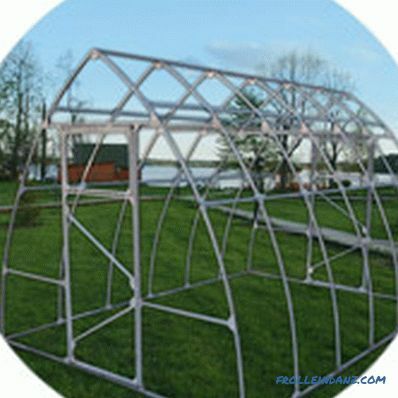 When constructing arch greenhouses, you should also take into account the maximum possible bending radius of the material. This indicator also depends on the thickness of the material (see table above), but may vary depending on the manufacturer (see table below). 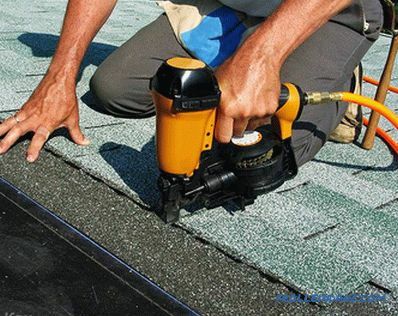 The angle of the slope of the roof will also affect the required sheet thickness. But this indicator is relevant only for pitched greenhouses. That is why often in cattle greenhouses walls are made of polycarbonate with a thickness of 4 mm, but the roof is 6 - 10 mm thick. 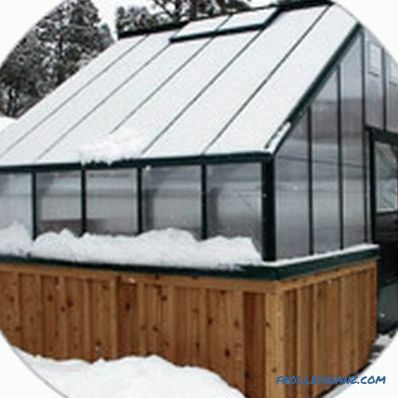 It is best to use arched or drop-shaped greenhouses in regions with a large snow load, which do not contribute to the accumulation of snow on the greenhouse roof. 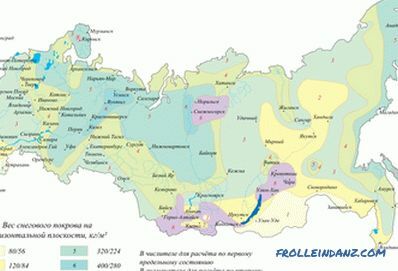 Snow load in various regions of the Russian Federation. 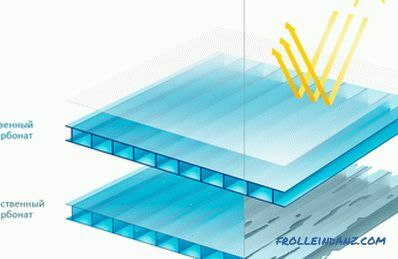 In regions with moderate snow load, sheets of polycarbonate 4–6 mm thick are most often used. 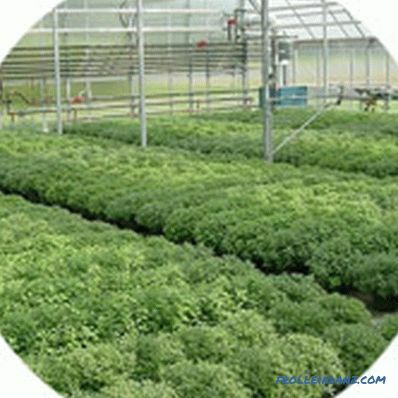 The thickness of the material depends on the purpose of the greenhouse. If the future greenhouse is planned to be used for forcing the seedlings, then it is best to take cellular polycarbonate with a thickness of 6 mm, but 4 mm will be sufficient for growing early vegetables. Manufacturers offer painted and fully transparent polymer panels. 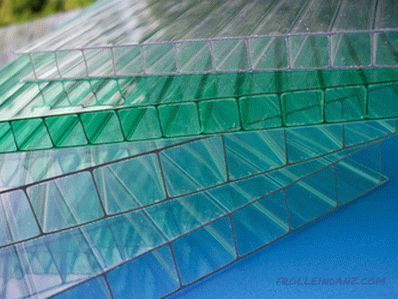 When choosing the colors of cellular polycarbonate for the construction of the greenhouse, the consumer must proceed from two considerations. First of all, the coating should provide maximum transparency of the panels and the lighting inside the building should be as close as possible to the natural solar spectrum. These requirements are met by transparent polycarbonate panels, which have the highest light transmission at the level of about 80%. At the same time, opal sheets retain and scatter up to 40% of the sun's rays, and the panels of fashionable bronze color absorb up to 60% of the radiation altogether. This circumstance will adversely affect plants, and will interfere with their normal growth and development. Among other things, color sheets have selective light transmission. The radiation of that part of the spectrum that is necessary for crops simply does not reach them. This situation can not contribute to high yields. Experts recommend using as a cover transparent panels that allow you to make the greenhouse as light and warm as possible. In the course of long-term operation, intense sunlight affects transparent plastic. The ultraviolet part of its spectrum is capable of triggering photoelectric degradation processes, at first microcracks are formed on the surface. Over time, they grow, which ultimately leads to the fragility of the panel and its gradual destruction. To protect against these processes, a special coating is applied to the outer layer of cellular polycarbonate. The technology of coextrusion with the mutual introduction of materials eliminates the separation of the protective layer from the base. On most types of materials such coating is available only on one side. To inform the user, a label is applied to the packaging film, indicating how the panel should be mounted. On certain types of polycarbonates photo stabilizing coating is applied on both sides of the sheet.Such panels are used for outdoor advertising structures or noise absorbing screens that are installed along major roads near settlements. Their use for the construction of greenhouses is meaningless, since in this case only one side is exposed to UV light. Manufacturers also offer polycarbonate without a light stabilizing layer. Such panels are used exclusively for interior work and are not suitable for greenhouses. Destructive processes will lead to the destruction of the panel after only one year of operation. For greenhouses, it is recommended to use high-quality cellular polycarbonate with one-sided UV protection from well-known trademarks. As a rule, such sheets are covered with a film on which there is a designation from which side there is a protective layer. The acquisition of inexpensive material produced by a company that does not have a name or does not indicate it will most likely mean a waste of money. Such plastic, as a rule, will not serve the established period and will have to be changed to a better one in the near future. When choosing a cellular polycarbonate for the greenhouse, you should focus on your own financial capabilities and avoid substandard products. 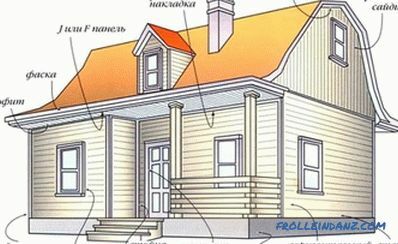 In the Russian market there are many types of transparent plastic made by domestic and foreign manufacturers. Consider the most common brand of cellular polycarbonate, represented by different manufacturers. For convenience of data analysis, the article will describe two-layer panels 4 mm thick with stiffeners perpendicular to its surface. One of the largest manufacturers of cellular polycarbonate in our country, SafPlast Innovative, manufactures its products under the brand name Novattro. The products of this company have proven themselves in consumer and are in steady demand. 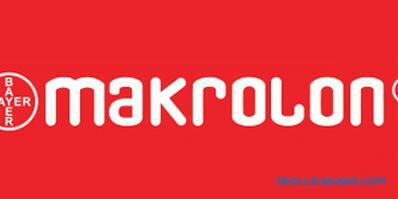 Another manufacturer of Bayer Material Science offers the consumer polycarbonate under the brand name Makrolon. This product is of the highest quality and has excellent characteristics. 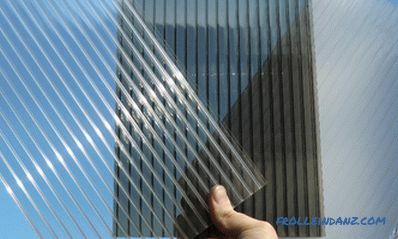 The Russian-Israeli company Poligal supplies cellular polycarbonate under the brand of the same name. Relatively inexpensive and durable material with a long service life. 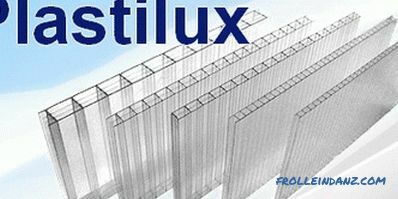 Products of the Chinese company "PlastiLux" Sunnex trademark falls into the category of the most affordable materials and is popular with the buyer . 1. The cheapest panels of the Sunnex trademark are no more than 3–4 years with a declared useful life of 8 years. 2. 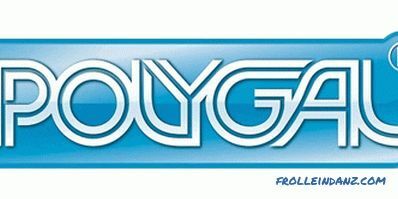 Cellular polycarbonate from the company "Polygal-Vostok" provides the immutability of its characteristics for about 10 years, provided it is properly installed. At the same time, the material is rather rigid and durable; in the process of installation it takes the shape of the frame well. 3. 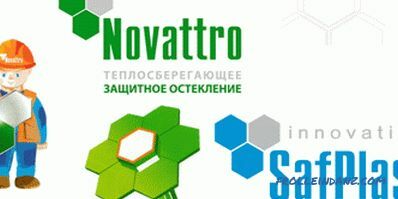 The Novattro panels from the Russian manufacturer SafPlast have proven themselves on the positive side. Reasonable price with a maximum lifetime of at least 8 years. 4. The highest technical characteristics of the polycarbonate Makrolon cellular brand. According to the results of operation in the middle band, the sheet retains its integrity and basic properties for at least 12 years. In view of the above, it is safe to say that the products of a Chinese company have the shortest service life, and the German panels have the longest.